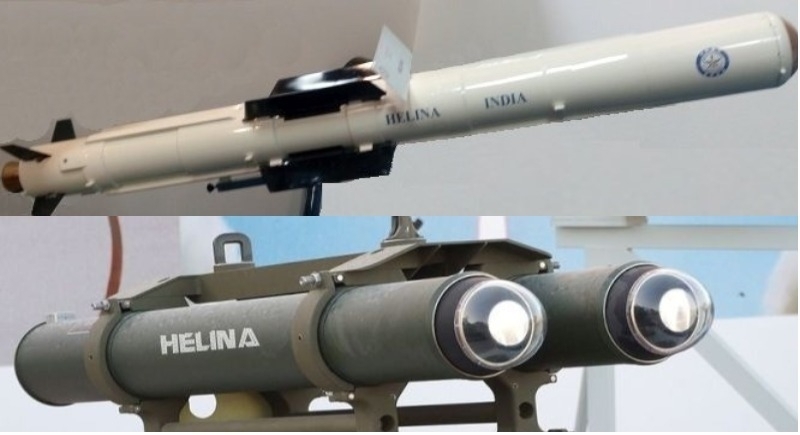 Jaisalmer, August 19: India on Sunday successfully test fired the indigenously developed helicopter launched Anti-Tank Guided Missile ‘HELINA’ from Pokhran in Rajasthan. Notably, it is a huge success for India’s point of view and will increase the strength of Indian security forces. The indigenously designed and developed guided bombs Smart Anti Airfield Weapon (SAAW) was also successfully flight tested from IAF aircraft at Chandan range in Jaisalmer. The ‘HELINA’ weapon system released smoothly from the launch platform has tracked the target all through its course and hit the target with high precision. All the parameters have been monitored by the telemetry stations, tracking systems and the Helicopters. The Missile is guided by an Infrared Imaging Seeker (IIR) operating in the Lock on Before Launch mode. It is one of the most advanced Anti-Tank Weapons in the world. Senior officials from DRDO and Indian Army were present during the mission. Raksha Mantri Nirmala Sitharaman congratulated the DRDO and the Indian Army on the successful flight test for further strengthening the defence capabilities of the country. On June 4, DRDO successfully test-fired the long-range ballistic missile Agni-5 from Dr. Abdul Kalam Island (Wheeler Island) at the Odisha coast proving its reliability. This is the sixth successful test of the missile and the second in its pre-induction configuration.